Here we summarize the results of the Rapid Alert System for dangerous non-food products for 2017. The Rapid Alert System, established in 2004, is operated by an experienced network of 31 national authorities assisted by the European Commission. 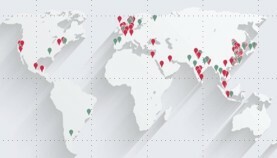 Every week, around 40 alerts are registered and published on the web. In 2017, a total of 2,022 alerts have been registered on the RAPEX website, a growth of 7% on the 1,887 registered in 2016. The above chart graph shows the difference by Member State between the number of notifications submitted in the Rapid Alert System in 2016 and 2017. Germany was the largest contributor of notifications followed by Spain, France and Hungary. The biggest rise in notifications came in Poland rising from under 50 in 2016 to 117 in 2017. As an importer and seller of consumer goods across the EU, it is worthwhile reviewing the notifying countries as areas of interest. 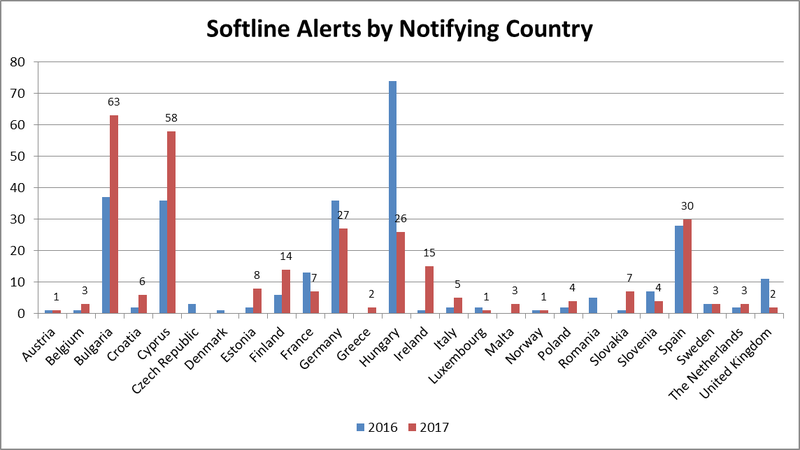 The above chart shows the number of alerts by Product Line submitted in the Rapid Alert System in 2016 and 2017. 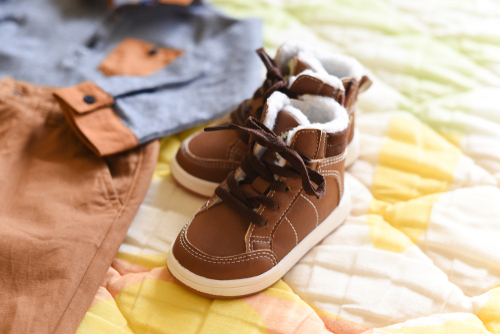 Toys & Baby Products was the largest category followed by Transportation (Motor Vehicles), Electrical and Electronics, Softlines, Hardlines and then Cosmetics. The biggest rise actually occurred in the Toys & Baby Products Product Line rising 23% in 2017 vs 2016. Hardlines and Cosmetics both experienced a decrease. 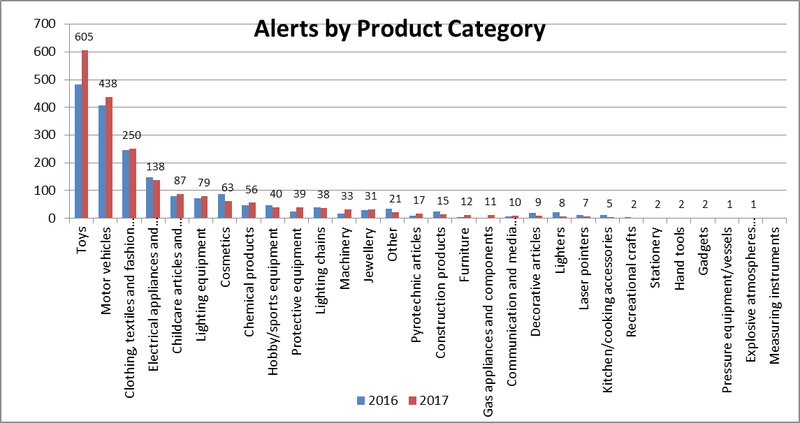 The above chart shows the number of alerts by Product Category submitted in the Rapid Alert System in 2016 and 2017. Toys were the largest category followed by Motor Vehicles, Clothing, Electrical Appliances, Baby Products and the Lighting Equipment. 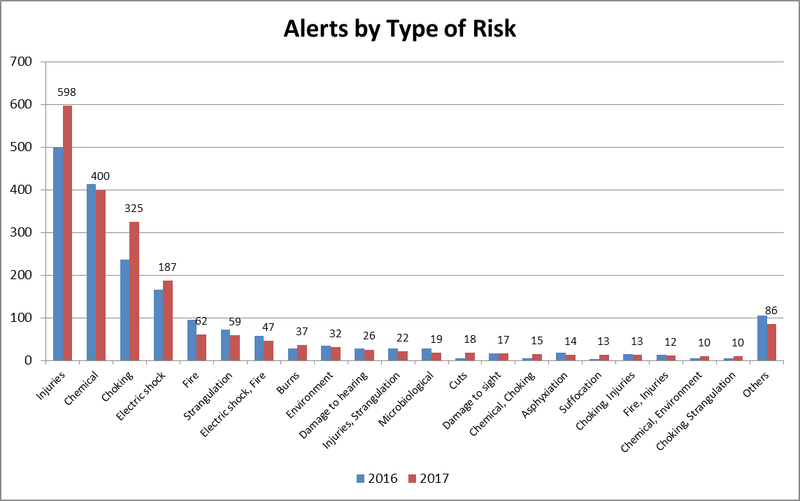 The above chart shows the number of alerts by type of risk in the Rapid Alert System in 2016 and 2017. 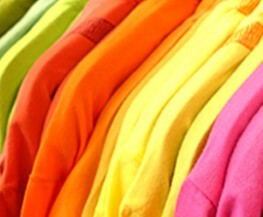 Injuries were the largest category followed by Chemical risk, Choking, Electric Shock, Fire and Strangulation. 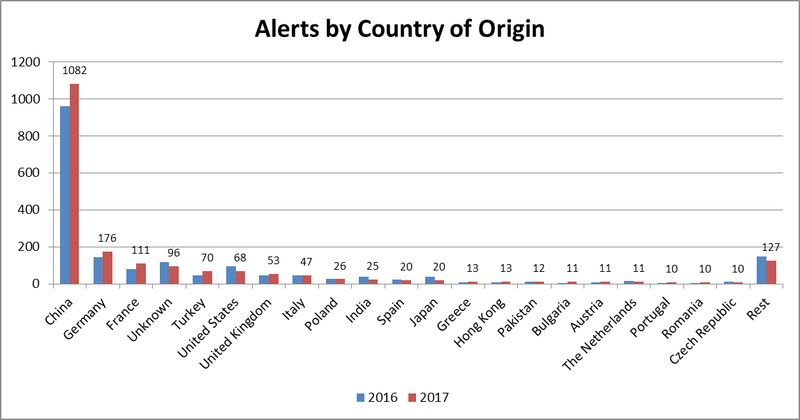 The above chart shows the number of alerts by country of origin from the Rapid Alert System in 2016 and 2017. Unsurprisingly, due to the sheer size of manufacturing base, China dominates, followed by Germany (with a lot of motor vehicle alerts) and the France, Turkey, USA and UK. Here we summarize the results of the Rapid Alert System for dangerous soft goods products for 2017. In 2017, a total of 293 softline alerts have been registered on the RAPEX website, a growth of 7% on the 277 registered in 2016. Here we summarize the results of the Rapid Alert System for dangerous hard goods products for 2017. In 2017, a total of 171 hardline alerts have been registered on the RAPEX website, a decline of 15% on the 202 registered in 2016. Here we summarize the results of the Rapid Alert System for dangerous Electrical and Electronic products for 2017. In 2017, a total of 307 electrical & electronics alerts have been registered on the RAPEX website, a slight increase on the 299 registered in 2016. Here we summarize the results of the Rapid Alert System for dangerous Toys and Baby products for 2017. In 2017, a total of 692 toys and Baby products alerts have been registered on the RAPEX website, a 23% increase on the 562 registered in 2016.